A major international study led by the University of Plymouth has shown that traditional pastoralist communities—such as the Maasai in East Africa—are abundantly aware that climate change and intensive grazing are having a marked effect on the resources they rely on for survival. The study is the result of the Jali Ardhi (meaning 'care for the land' in Swahili) project, funded by the Natural Environment Research Council, the Arts and Humanities Research Council and the Economic and Social Research Council, as part of UK Research and Innovation's Global Challenges Research Fund. Professor of Catchment Science Will Blake, lead author on the study said: "This project has shone a light on the many and varied challenges associated with soil erosion. But in developing a greater understanding of the issues in East Africa, we have also proposed an environmentally and socially sustainable solution that could be adapted in similar communities across the world. 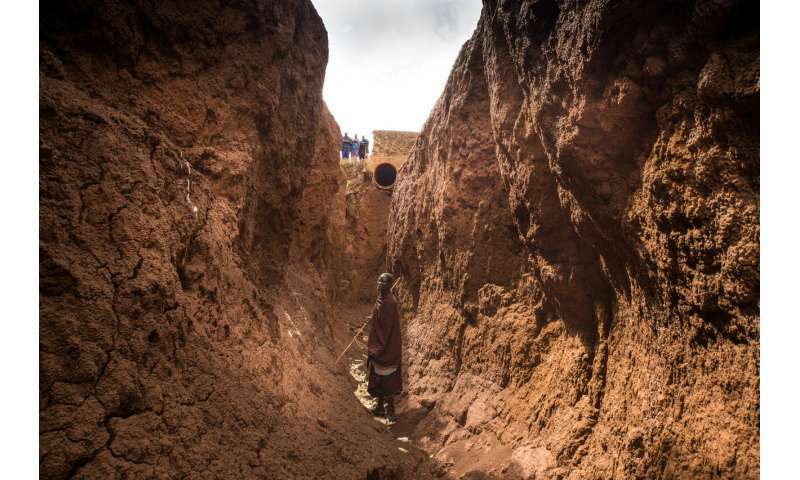 "The devastating effects of soil erosion on Maasai lands are quite shocking to see. 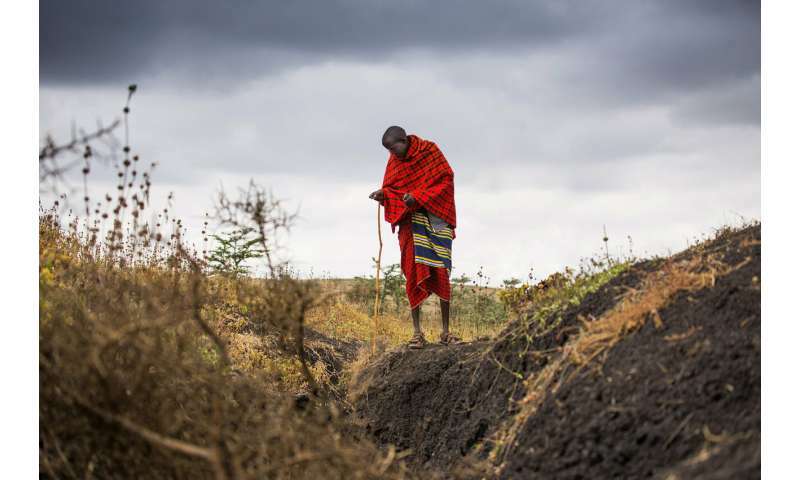 In recent decades, some parts of the Tanzanian Maasai landscape have witnessed an almost total destruction of the soil resource in many areas used for grazing of livestock. 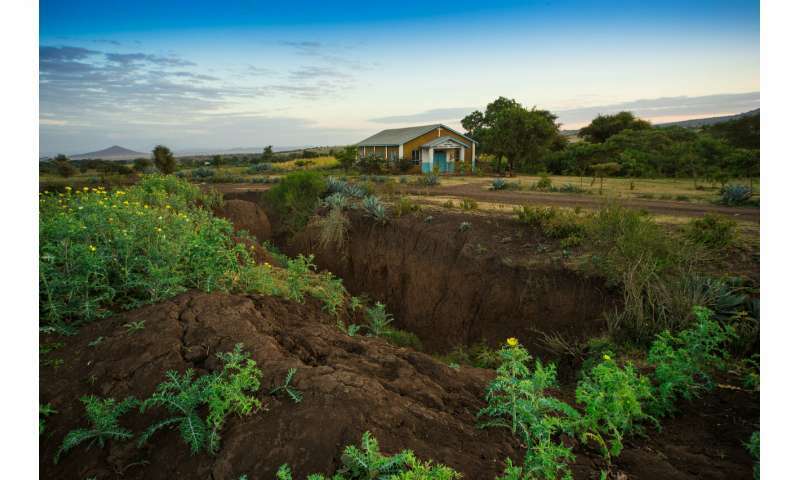 "But these problems are certainly not restricted to East Africa and every year 12 million hectares of productive land are lost to soil erosion globally, with a third of all soils are currently thought to be degraded. Unless we take action now, communities who rely on the land for their survival will be left facing an increasingly uncertain future." The research was led by Plymouth's School of Geography Earth and Environmental Sciences, in conjunction with the Nelson Mandela African Institution of Science and Technology, University of Exeter, Schumacher College and the International Water Management Institute. It also involved a collaboration with photojournalist Carey Marks, facilitated by Plymouth's Sustainable Earth Institute as part of its Creative Associates programme, to develop a photographic documentation of the research project in action, a whiteboard animation and a soil erosion game.